In the last podcast episode on Plantinga and properly basic beliefs, I briefly discussed the “Great Pumpkin Objection.” As it’s a subject worthy of a blog post of its own, and given that I know some people prefer things in writing, I thought I’d add a blog entry focused on that objection. Alvin Plantinga has hammered out and defended the notion that if God (the Christian God that he believes in) really exists, then a Christian’s belief in God can be construed as properly basic. A properly basic belief is one that is rationally held and yet not derived from other beliefs that one holds (this is another way of saying that it is not justified by what is often called evidence). We hold many such beliefs, for example, the belief that the universe was not created just five minutes ago, any beliefs based on memory, belief that other minds exist, the belief that we are experiencing a certain colour, and so on. Set aside, for now, the fact that a lot of Christians think that they can produce decent evidence for the existence of God. Plantinga argued – successfully in my view – that even if that’s true, theism can be construed as properly basic and hence suitably justified even without such evidence. God created us in such a way that when we function properly we believe in him. The normal epistemic response to creation is to believe things like “God created this,” or more fundamentally, “God is real.” For more details, check out the podcast episode. One bandwagon that anti-theists have jumped on is to claim that if theists can claim that their belief in God is basic, then just anybody at all can do this in regard to their belief in just anything. 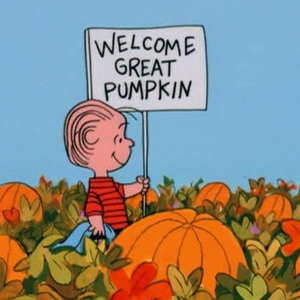 Here’s one popular version of that objection: In the comic strip Peanuts, the character Linus believes that there exists a Great Pumpkin who rises from the pumpkin patch every Halloween and rewards good children with presents. If Christians get to think that belief in God can be properly basic, then why couldn’t a person (like Linus) think that belief in the Great Pumpkin is properly basic, and so claim the right to believe it even though he cannot produce evidence for the belief’s truth? In spite of the widespread acclaim that this objection gets, I think that it’s trivially easy to show what’s wrong with the objection. Here’s the response to the Great Pumpkin objection: Properly basic beliefs are not groundless. They are brought about in the appropriate way by being in the right circumstances (and by having your belief-forming faculties functioning correctly). So when you are in the circumstances of being appeared to “treely,” you form a belief like “I see a tree.” When you are having past memories of eating eggs, you form the belief that you ate eggs. True, if the circumstances you’re in are such that the Great Pumpkin really exists and has created us in such a way that we function properly by believing in him, then when we form the belief that the great Pumpkin exists, that belief is warranted and it can indeed be said to be properly basic. But how is this a problem for theism being construed as properly basic if true? The Great Pumpkin Objection is an attempt to show that Plantinga’s understanding of theism as a properly basic belief can be reduced to absurdity, but the objection does no such thing. Plantinga’s explanation of properly basic beliefs was never intended to show that theism is true. All it shows is that if the God that he believes in does exist, then there’s a defensible account of how belief in this God can be properly basic. But likewise, if it were true that the great pumpkin did exist and the way that he interacts with creation likewise provides an account of how pumpkinism can be properly basic, fine. What this tells us – and this was really Plantinga’s point, is that you can’t dismiss the rationality of belief in God (or the great Pumpkin, if he is said to do these things), without first dismissing the truth of the belief, by declaring that in fact God does not do these things, or has not made the world this way, so that really belief in him cannot be properly basic after all. I remember during a postgraduate theology seminar at the University of Otago this objection came up after a talk I had given. I described Plantinga’s account, and a very confident atheist in the room shot back “Oh yeah? Well I believe in the cosmic giraffe. He exists and communicated his existence to me via direct experience, so I am just as warranted in holding this belief and calling it basic as you are.” This was obviously just a re-labelled version of the Great Pumpkin Objection, and it fails for the very same reason. Sure, if there is a cosmic Giraffe, and if this guy was telling the truth about how the said giraffe communicated his existence to him, then his belief could be warranted and basic. But as was pretty obvious to everyone in the room, he was just making it up. It wasn’t true at all! Atheist Keith Parsons likewise misunderstands the point of the account of theism as properly basic. He attempts to address the way that the Reformed epistemologist can easily dispatch the Great Pumpkin objection. He notes that if theism of this sort is true then it is properly basic (he calls it “warrant basic”). Now, it logically follow from this, he says, that if theism of this sort is not basic, then it’s not true (although some other kind of theism might be, but let’s ignore that for now). Here’s how he comments on this in the Cambridge Companion to Atheism: “the atheist can stand Plantinga’s argument on its head and argue that the fact that theistic belief is not warrant basic shows that there probably is no God!” (p. 111). Well, here’s the thing. Yes it’s true that showing that this sort of theism (very sepcifically construed as a theism brought about by the means Plantinga discusses) is not basic is to show that it’s not true, but in order to show that it’s not basic, as Plantinga spelled out, you have to show that it’s not true, because if it’s true then it will be basic. In other words, theism is only non-basic if it’s false. In practical terms, this means that showing that theism is not basic is going to require you to show that the factors that would cause the belief to be basic just aren’t there. God’s not real, or God didn’t create us in such a way that we function properly by believing in him, for example. Unless you can successfully argue for such propositions, then you cannot establish that belief in God isn’t basic. [W]hen it comes to arguments questioning the rationality of theism, Marx and Freud are now the least of theists’ worries. A number of recent works offer challenging naturalistic accounts of religious belief in terms of neuroscience, anthropology, and evolutionary theory (see, e.g., Guthrie 1993; Alper 2001; Boyer 2001; Wilson 2002; Broom 2003). If the arguments of these authors are cogent – and Plantinga gives no reason why they cannot be … then there is excellent reason to doubt that theistic belief is warrant basic, for such belief will have natural, nonrational causes – and not be caused by the proper functioning of a cognitive faculty designed to produce true beliefs. The Cambridge Companion to Atheism, ed. Michael Martin (Cambridge: Cambridge University press, 2007), 111. But look at the way this line of reasoning works: Plantinga has offered an account which, if true, would make theism properly basic. Parsons says that some other people have offered an account of theism which, if true, would make theism not properly basic. Therefore we should doubt that theism is properly basic, and hence we should doubt that it’s true. But who on earth would accept an argument like this? The fact that there exist ways of describing theism that do not describe it as basic is simply irrelevant. If theism is true, then Plantinga’s account of theism, making it properly basic, is much more likely to be true than the naturalistic accounts referred to by Parsons. What’s more, even if plenty of people do accept theism solely because of the causes that Parsons alludes to, at very best this shows that not everyone who accepts theism holds it as a properly basic belief. But there’s definitely nothing here to show that Plantinga’s account of theism being properly basic is false. Posted on June 20, 2010 April 3, 2019 by GlennPosted in apologetics, atheism, epistemology, philosophy of religionTagged Alvin Plantinga, epistemology, great pumpkin objection, properly basic belief, reformed epistemology. Previous Previous post: God of the Gaps? I am not as familiar with Plantinga on this issue, though I am interested in his apologetic. His thesis, I think, is not like other apologetics in the sense that it tries to show that theism is true. So it is not like the five ways that try to persuade via evidence or such. So it seems that Plantinga’s position is more internal. Is it intended to have any “evangelical” element to it? If so, how? Good! That makes sense then. It has been to long since I have thought deeply about apologetics. Actually I am inclined to think the examples Parson gives are cases of basic belief in God. They are evolutionary explanations of why we have a basic belief mechanism. Now assuming they are true, evolution is either guided by God or its atheism is true. if the former its unclear why the belief would not be functioning in a way designed by God to give us truth. If the latter Parson’s example is one where if theism is false its not basic and hence confirms Plantinga’s point. Yes, that’s certainly true as well Matt, so there’s a second response to Parson. Firstly if he’s right that he has provided an account that, if true, would render theism non-basic, little of interest follows. Second, he may well be wrong in saying that this is what he’s offered. In it he offers logically sound defences for theodicy, as well as for the ontological argument as to God’s existence. He rejects, though, the teleological argument (Paley’s) — which I have always rather fancied, on statistical grounds — and consequently I admired and still admire Plantiga as One Of Those Large Philosophical Minds, while retaining a kind of built-in resistance to his arguments as a whole. Thank you for the good work you do in encouraging debate on these important issues. I first heard about you on ‘Unbelievable’ on Premier Radio. Sure, if there is a cosmic Giraffe, and if this guy was telling the truth about how the said giraffe communicated his existence to him, then his belief could be warranted and basic. But as was pretty obvious to everyone in the room, he was just making it up. It wasn’t true at all! It wasn’t true at all? How do you know? Can you prove that the cosmic Giraffe had not communicated its existence to the atheist in question, using unknown mechanisms it put in place for the atheist to experience it? I don’t think you can, without resorting to the genetic fallacy (as you appear to have done). In other words, theism is only non-basic if it’s false. In practical terms, this means that showing that theism is not basic is going to require you to show that the factors that would cause the belief to be basic just aren’t there. Similarly, if reformed epistemology is to be taken seriously, belief in the cosmic Giraffe is only non-basic if its false – assuming that if this cosmic Giraffe exists, it has communicated its existence to some individuals, using unknown mechanisms it put in place for them to experience it. This is the nature of the cosmic Giraffe, as revealed experientially to those that believe in its existence. Those are the ‘factors’ that would cause the belief in it to be basic. Can you demonstrate that they aren’t there? God’s not real, or God didn’t create us in such a way that we function properly by believing in him, for example. Unless you can successfully argue for such propositions, then you cannot establish that belief in God isn’t basic. If it is fair for you to dismiss this by claiming that the cosmic Giraffe has just been made up, why wouldn’t it be fair for me, using the exact same reasoning, to dismiss the basic nature of theism ? The thing is, it wouldn’t be fair (or even correct) for either of us to use this reasoning, and that is why I think Reformed Epistemology fails to convince me that theism is basic. James, Reformed Epistemology does not attempt to persuade you that theism is basic. If this is your worry then just let it go, for this was never the issue. The one and only thing relevant here is that theism (of the sort Plantinga is concerned with) is basic if it is true. That’s it. So a person can’t doubt that it’s basic without also doubting that it’s true. It’s very shiny, but what is it for? Sorry, I read all that and (feel like I just played six games of chess in a row and meant them) it seems like a very wordy introduction to a big statement of the obvious. And a statement that seems to me little comfort to either side. The believer is able to believe his belief is properly basic because he believes, (which he probably did without Plantinga) and the doubter is still free to doubt that the believer’s belief is properly basic because he doubts the believer’s belief. (which he probably did all of his own accord as well) BUT… if the believer’s belief is true, then it is properly basic even if his doubter finds the belief not believable. I am, of course, still trying to get my head around your examples. When you talk about the idea of having seen a tree or eaten eggs do you mean that you lack evidence for these beliefs because there may be nobody else to verify that you saw the tree or ate the eggs? A friend of yours tells you that his belief about the existence of certain aliens from the Andromeda galaxy (visiting our galaxy!) is a properly basic, and then proceeds to give an account of how his belief could be properly basic that is analogous to Plantinga’s account concering theistic belief. Do you seriously claim that your friend’s schitzofrenia is irrelevant?! And that, in order to show your friend’s belief is not properly basic, sceptics must actually disprove the TRUTH of his claim about the aliens from Andromeda? REALLY?? So, providing a good naturalistic account for the origin of such belief in terms of say, neuroscience (whether that be a mental illness like schitzofrenia or not), has no bearing on whether we can dismiss it as unwarranted and hense not properly basic? Now you see why very few in academia, apart from his fundamentalist friends like Craig, take Plantinga seriosuly? You’ve made an incorrect inference here. What I said is that the fact that some people can describe theism as not being properly basic is not important. But you’ve given an example where we know and agree that a person is suffering from a cognitive dysfunction (it’s “schizophrenic” by the way), which, if a factor, would mean that in fact the beliefs caused are not properly basic. This is not simply a case of people offering their description of theism as not being properly basic. You should be much more careful, especially when saying “LOL” and describing others as nutty. You haven’t even touched the meat of the issue with this example. But that’s exactly my point with having a widely accepted naturalistic explanatation for theistic belief in terms of say, neuroscience: it would show that the “person is suffering from a cognitive dysfunction”. in turn this explanation would entail the belief is not properly basic. (see this recent article “Religious Factors and Hippocampal Atrophy in Late Life” as an example of research done in this area). that’s the argument Parson is making. the only difference is that we don’t(yet) have such a plausable, widely accepted explanation about religious belief, but you can’t say that it’s irrelevant if we DO have it. Yes I realise that this is the point you were hoping to make. But this is not just describing a person as forming a belief in a non-basic way. This is showing that a person is forming beliefs in a non-basic way. It’s no good making fun of this rather obviously true statement on the grounds that we can cast doubt on a belief being basic by showing that a person is suffering from a cognitive malfunction. It appears that you’re equating just saying that something is the case with actually showing that something is the case. I do not equate the two. you agreed that the mental illness in the second instance is NOT irrelevant, and (I hope) you agreed that we don’t have to disprove the existence of those aliens in order to show it’s not properly basic. so why are you still arguing that if we had a CONVINCING and WIDELY ACCEPTED(*) account of theitic belief in terms of a cognitive disfynction, say, that would be irrelevant and we have to disprove theistic belief? I wrote 2 comments trying to illustrate, as clearly as a could, this point, and instead you claim I’m making fun of theism or sometime of the sort. all I was trying to do is to show the absurdity of Plantinga’s argument (and yours) by pointing to a completely analogous situation where we have good evidence the relevant beliefs are caused by mental disorder. I’m at a loss how to explain it to you any more clearly. This is very different from the example you gave earlier where it was shown that schizophrenia was involved. But this second example is better – a big improvement on your previous one. And you’re right this time. The fact that people are able to describe a belief (whether that belief is, in reality, true, false, even crazy) as forming in a non – properly basic way (like a neurological condition) is absolutely irrelevant. Evidence that they formed in that way is another matter. So on the whole – good to see your examples getting better. actually my example is the same, apparently I didn’t express myself clearly enough, but I didn’t realize you’re getting hung up on words like “describing” vs “showing”. I thought I made it clear by giving an analogy with schizofrenia that I was talking about a scenario where there IS good evidence in support of a naturalistic account describing (as in showing) theistic belief is formed as a result of cognitive disfunction. however, the problem (one is tempted to say, the absurdity) of the previous two quotes goes even deeper. let me explain: when Plantinga claims his A/C model or something like it is very likely to be true if theism is true, he’s in effect making a prediction based on a hypothesis, so for him to insist that we have to show theism false in order to falsify his model (and hense, the proper basicality of theistic belief) is like saying we have to disprove a hypotheisis in order to show that a specific prediction of that hypothesis is false!! we have to show that theistic belief is not properly basic and Plantinga’s model is false by providing a naturalistic account that is supported by good, convincing evidence (as Parson suggested), which in turn would falsify theism by showing that a specific prediction based on theism (such as the proper basicality of theism) is false. the bottom line is that Parson is absolutely correct when he says we can disprove theism by disproving that theistic belief is properly basic. that’s how science works. well, that’s a standart procedure in science: we form theories and hypothesis and then test them on the basis of different predictions they make. Read what you just quoted again – you’ve missed it. I said that he offered an account which, if true, would make theism not properly basic. I never said it was true. Once again I come back to exactly the same response that I have already offered: Merely describing a state of affairs does not make it a real state of affairs. There is a world of difference between describing something as not being properly basic and showing that it is not properly basic. You still haven’t realised the importance of that distinction. So no, I don’t endorse the type of reply you offered in your schizophrenia example, and it’s strange that you don’t see why not. I have done my best to explain it to you. when Plantinga claims his A/C model or something like it is very likely to be true if theism is true, he’s in effect making a prediction based on a hypothesis, so for him to insist that we have to show theism false in order to falsify his model (and hense,[sic] the proper basicality of theistic belief) is like saying we have to disprove a hypotheisis in order to show that a specific prediction of that hypothesis is false!! 1) If Christian theism is true, then by virtue of the content of Christian theism, it may also be properly basic. 3) Some people claim that Christian theism actually is not properly basic. 4) Therefore those people are asserting something that entails the denial that Christian theism is true. See how that works? There’s no way to “get beneath” the claim that Christian theism is properly basic to show that really it isn’t, without actually denying that it’s true. Hopefully that’s clearer to you now. Not at all. The “argument” consisted of nothing more than a description of a state of affairs wherein theism was not properly basic. But anyone can do that. Heck, I can do it! I can describe a person being hypnotised and being told that theism is true, and then believing it. That person’s belief is not properly basic. That was easy! But it hardly follows that since I can fictionally describe theism this way, it must really be true that it is this way. Bottom line: Stating something to be the case is very different from showing that it is the case. ok, I see that your objection to Parson is that he has merely described but not shown (as in provided compelling evidence that theistic belief is not properly basic). fine, I also agreed that at the present moment there isn’t such evidence, although in my opinion there’s been progress in that direction. But initially I gathered you agree with Plantinga who argues we have to go the other way around, i.e. we have to disprove theism in order to show theistic belief is not properly basic. which is absurd, as I explained in my previous post, and which is what Parson rightly objects to. that’s the core of my objection against Plantinga’s claim, and I thought you’re supporting his claim, when apparently your only objection is that there’s CURRENTLY no compelling evidence against the proper basicality of theistic belief. again, that’s fine, Parson wouldn’t have much in the way of an objection against such a claim; what he’s really objecting to is Plantinga’s insistence that first we have to show theism is false (presumably by providing some cogent argument, like the argument from evil, etc. ), to show his model is false. and that’s nonsense. Well, I have already made it pretty clear to you why you’ve got to show that it’s false in order to show that it’s not properly basic. What more can I do? exacty right. that’s preciesly the point Parson’s making: if we have good evidence in support of a naturalistic accounts of theistic belief that would show it’s not properly basic, therefore disproving theism. You’re getting yourself tangled up in another issue there, namely the genetic fallacy. Merely showing that there’s a naturalistic account of how a belief arose is not at all the same as showing that a belief is false. That’s a logical howler right there. What I said is that to describe a state of affairs where a belief isn’t properly basic is not at all like showing that it’s not properly basic. This applies to Parson as much as it applies to your schizophrenia example. But to get back to Parson’s argument: It is true that given the theism Plantinga affirms, you would indeed need to show that at least some of it’s content is false in order to show that it’s not properly basic. This is because part of its content is that God reveals himself to people in a way that counts as properly basic. Now, what Parsons is actually doing is attacking that content. He’s saying – no actually we can imagine that it’s not God who gives this belief, it’s some process that gives rise to beliefs that aren’t properly basic. And that’s true – we can imagine that. Heck, we can imagine a lot – but Parson wants us to do more than imagine it. But then he’s not doing what you allege. He is attacking part of the propositional content of Plantinga’s theism after all and needs to use arguments to do so. My previous criticism therefore applies. the fact to describing for example a belief in Gods, or Great Pumpkins as well as many other things do not automaticly make them to basic beliefs – so which beliefs are basic? And which are not? Just the fact that you beliefs any thing do not automaticly do it to true beliefs. So Plantinga have to offer a answer what the status of basic beliefs is. What give the beliefs this status? We need a answer to this question if we should trust the reformed epistemology when he say his belief in God is basic. But Plantinga can not. He have no arguments and do not want to answer this question. So I suppose according to Platinga beliefs in God is basic just because he say so and because it fit him well, and then shall we believe him on that. Or what? Yes, sure! Very convincing argumenting in deed! Plantinga is just a ”philosophic” amateur. And then, why should we even listen to and believe a scammer, a buffoon ? I would advise much caution before you flippantly call one of the greatest philosophers of our time a “buffoon” or “scammer”…. 2. Self-evident – if it’s denial is a self-contradiction. Plantinga criticizes this view for not living up to it’s own criteria, and therefore it is self-defeating. What you believe to be basic will come down to worldviews. If you hold to a Christian worldview – then certain things follow to be properly basic, etc. etc. So to challenge properly basic beliefs, you cannot go to an individual argument, but must either a. show the inconsistency and falseness of this belief within it’s own world view b. prove the worldview to be false.